Noncompete agreements are becoming boilerplate in employment contracts, and for employees, there's nothing good about them. They create enormous uncertainty about future job options and worry about launching a new business. Their use is spurring legislative fights in leading tech-industry states. Employers see noncompete agreements as a "low-cost measure to bind their workforce," said Massachusetts State Rep. Lori Ehrlich (D-Essex), in an interview. She has been trying to get noncompetes banned in that state for years. The use of noncompete agreements may be increasingly common. One recent survey, with more than 11,500 respondents, that was conducted by three law professors found that about one in five workers have signed noncompete agreements. "They have been controversial forever," said Norman Bishara, a law professor at the University of Michigan, and one of the researchers reporting on the data. "They are clearly anti-competitive, so courts have always looked at them kind of askance because they are on their face designed to restrict competition," he said. But courts do look at competing factors, Bishara said. noncompetes go back many years, and stem from issues where, for instance, a former bakery employee sets up a competing bakery across the street. Bishara, along with fellow law professors Evan Starr at the University of Maryland, and J.J. Prescott also at Michigan, are working on a paper on noncompete agreements, but a final conclusion awaits. The answer, at least to opponents of noncompetes, seems apparent in the case of California, which has long banned them. The state continues to see tech sector growth, for example, in most recently by automakers building connected and self-driving vehicles. But Bishara cautioned that there are many factors, such as access to capital, contributing to California's success. In Washington state, home to Amazon and Microsoft, state Rep. Derek Stanford (D-Bothell) is attacking noncompetes in legislation (HB 1926) that would restrict their use. His bill received a key committee approval this month and faces one more committee vote before advancing to a vote by the full House. Stanford said he has heard from programmers and others in the tech sector -- "quite a few and very loudly," he notes -- who are upset with these agreements. A major problem with noncompetes is the uncertainty they create, Stanford said. "It is essentially unknowable at the time you sign a contract what exactly is the standard you will be held to when you leave," he said, in an interview. Employees, "can't really be sure if they are complying or not." In Massachusetts, opponents of noncompetes have packed hearings to support legislation that would ban the agreements, Ehrlich said. "The strongest argument for reform is the damage it is doing to individuals," Ehrlich said "It derails their careers, it damages them financially, and it creates a situation where they are told they cannot work." Even if an employee is laid off, a noncompete can still apply, the lawmaker said. "The larger implications are economic," Ehrlich said. The agreements are hindering competition, she said, "especially by not allowing people to innovate and start their own business through overuse of these agreements. I think it would really bolster the economy to reform these," she said. "We're hearing stories from all sectors of the economy, where employees are stuck in noncompetes and unable to work in the field they are trained in -- sometimes for years at a time," Ehrlich said. Ehrlich co-authored legislation this session that seeks a ban on noncompetes, but in the last session a compromise bill limited noncompetes to people making at least $150,000, on the presumption that they have the financial wherewithal to hire legal counsel. Stanford, as well, would like a ban, but the bill approved by a key committee this week doesn't go that far. The bill would eliminate noncompetes for temporary workers and independent contractors and in cases where an employee is laid off. It also would make it difficult for a noncompete to extend past a year. One critical aspect of the bill is a restriction it imposes on a court. Stanford said employers will sometimes include a broadly written noncompete agreement and that courts have the ability to change the agreement to make it "whatever they feel is reasonable," he said. If the court changes the agreement, it still leaves employees on a noncompete hook, and the employee may even be responsible for covering the employer's legal fees. Stanford's bill would prevent courts from changing the noncompete. Stanford said the bill's provision will encourage firms to be "much more clear and reasonable" in their noncompetes, and limit them, as well, to high-level employees. The Washington Technology Industry Association, a trade group, opposes Stanford's bill. "Nobody really likes a noncompete until they have intellectual property to protect," said Michael Schutzler, the association's CEO, in an interview. He said state laws in Washington already restrict the use of noncompetes. "For our industry, it is unnecessary to create a piece of legislation that essentially codifies how the state of Washington already works and then takes away the one piece of small protection that still does exist for our industry," Schutzler said. But Stanford's arguments are backed by anecdotal examples of broadly applied noncompetes in Washington. In particular, Amazon required warehouse workers to sign a noncompete agreement, The Verge reported last year. 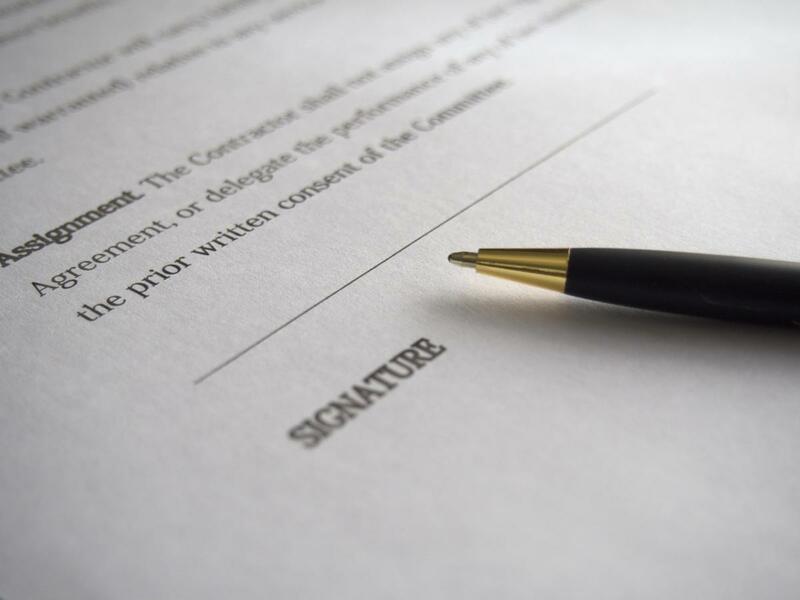 The clause, reportedly removed, underscores the idea that noncompetes are being broadly used as boilerplate in all types of employment agreements. Employees taking a new job will sign what is put in front of them, said Joseph Kroeger, a partner in the labor and employment group at Snell & Wilmer. But for those employees with noncompetes who want to seek a new job, he recommends discussing it with the employer. "Companies appreciate it when employees are upfront and above board and they usually reciprocate," Kroeger said. The employees that may face trouble are those who tell employers, that "I'm leaving, and I haven't thought about what's next" but two days later their LinkedIn profile is updated with the name of their new employer, and it is a competitor, Kroeger said.